Teens have unique needs when it comes to dental care. General dentistry services, in particular, play an important role in preventing dental damage, helping teens to enjoy beautiful, healthy smiles as they approach adulthood. Drs. Jeffrey J. Emmi and Laura A. Dougherty offer a variety of treatments to address the unique needs of teen patients. For more information about dental care for teens, schedule a consultation at our Wilmington, DE practice. Good dental care is important at all ages. However, establishing good dental care habits is particularly important for teens as they learn to take on more adult responsibilities. Practicing the following dental care tips will help teens enjoy a healthy smile as they grow into adulthood. Practice good oral hygiene habits: Maintaining good oral hygiene habits is one of the most effective ways to reduce the risk of gum disease and tooth decay. Teens should brush for a full two minutes at least twice a day and floss alongside each tooth at least once a day. Limit sugary, acidic foods and drinks: Regularly consuming foods and drinks high in sugar or acid, like soft drinks, can lead to enamel erosion and tooth decay. Limiting these foods and drinks can help teens protect their smiles. Undergo regular dental exams every six months: Regular dental exams and cleanings are another important component of any dental care routine. Dental exams and professional cleanings should be scheduled every six months. Practice extra care when wearing braces: Teens with traditional braces must practice extra care while undergoing orthodontic treatment because food debris can collect around brackets, leading to tooth decay and dental stains. Brushing frequently and avoiding sticky, crunchy foods can help teens enjoy a beautiful smile after orthodontic treatment is complete. Wear a mouth guard during sports: Teens who play sports are at particular risk of dental damage, like chips and fractures, which can occur as a result of a sports-related injury. Wearing a mouth guard while playing sports offers a layer of protection to athletic teens. Tooth-colored fillings: Teens who suffer from cavities can enjoy restored dental health and appearance with tooth-colored fillings. Tooth-colored fillings are customized to match the surrounding teeth, making them virtually unnoticeable. Dental crowns: Teens with large cavities, severe tooth decay, or damage from sports-related injuries or accidents, often benefit from dental crowns. Dental crowns are custom-made tooth-shaped restorations designed to cover damaged teeth, restoring dental function and appearance. General exams and professional cleanings: General exams and professional cleanings help prevent oral health issues, and catch any signs of concern before severe damage occurs. Dental exams and cleanings should be performed every six months to keep the teeth and gums healthy. 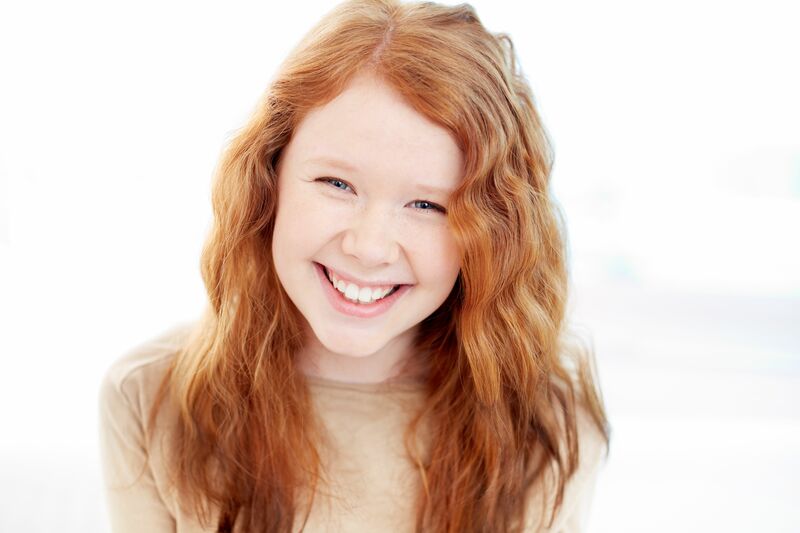 Invisalign®: Invisalign® treatment is a popular choice for teens with crooked, misaligned teeth. Invisalign® provides the straightening benefits of traditional orthodontics. Invisalign® gently repositions the teeth using a series of clear, aligner trays, creating beautifully straight teeth without the need for metal braces. Traditional orthodontics: Traditional orthodontics remains popular among teen patients who require mild to severe correction of alignment issues. Traditional orthodontics uses a bracket and wire system to gradually realign the teeth, giving teens the confidence of a beautiful smile. We invite you to schedule a consultation with our team of dentists for all of your family's dental care needs.